The face of Kicking Horse and indeed the mountain itself is ideally positioned to accommodate an outstanding winter season ski resort. North-East facing slopes allow for excellent snow retention. Mother Nature chips in to provide enough high-level moisture, sun, temperature and super-dry, low-level air to create and preserve Kicking Horse's perfect powder. The quality of this fine, dry Purcell Powder has for years been the closely guarded secret of the region's local skiers. 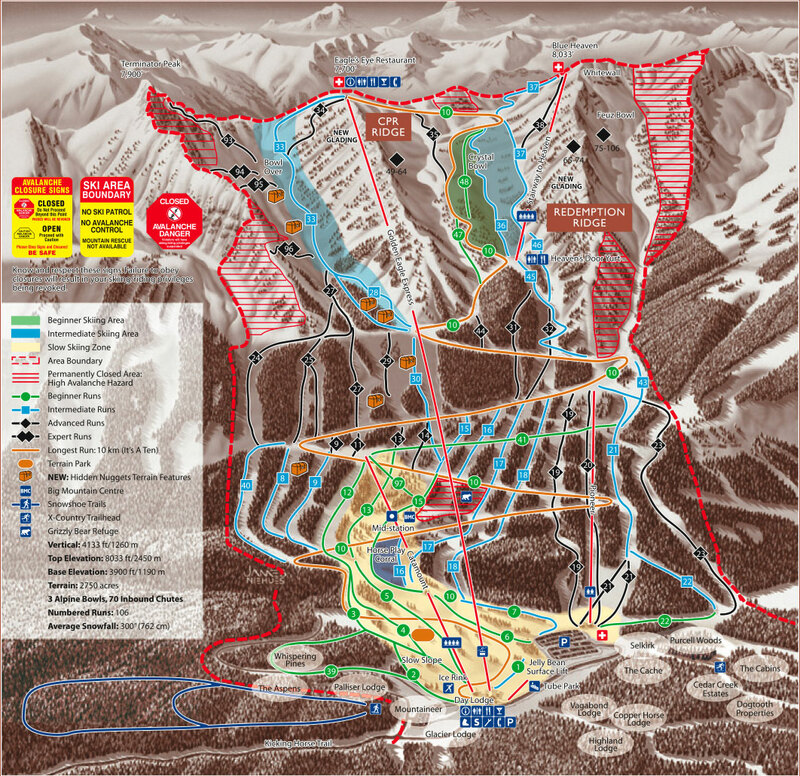 Kicking Horse also boasts the greatest vertical in the Rockies with its longest run being 10 km (6 miles)! So come, experience the famous "champagne powder" Kicking Horse has to offer. Day trips are available from Banff and Lake Louise onboard the "Kicking Horse Powder Express" for little more than a cost of a day pass. Experience Kicking Horse Mountain Ski Resort from Banff and Lake Louise onboard the Kicking Horse Powder Express.